Why you might want to choose European Extra Virgin Olive Oil. 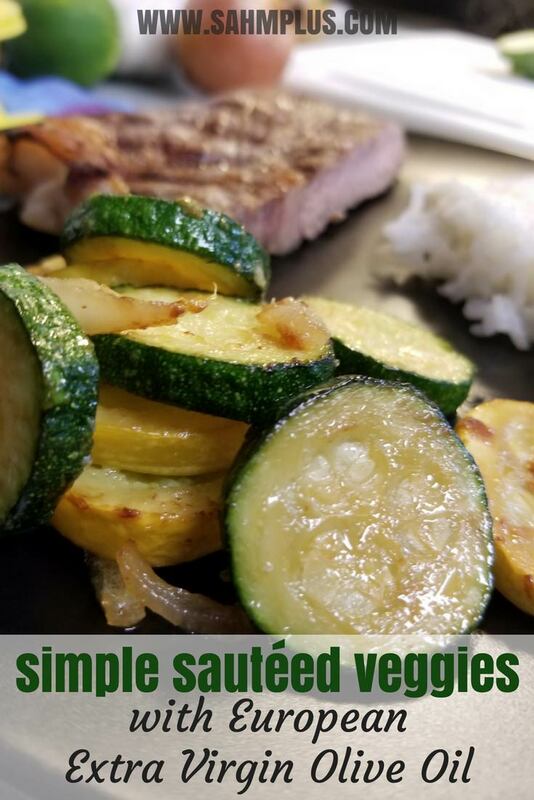 And, if you love healthy food, check out this simple sautéed veggies side dish recipe. I grew up on the outskirts of a small one-red-light town. We were out in the sticks, on a long dirt road that the county would grade about once a month. As much as you could have considered us to be “in the country” we weren’t surrounded by cows or horses. But, we were definitely raised southern. Fried food and biscuits were staples. Country fried steak and gravy, mashed potatoes, green beans, and biscuits with honey was considered a rounded and healthy meal. Sometime after having moved out on my own, I began to think about health a little differently than I’d been raised. 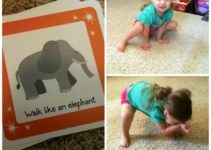 And, after having children and being diagnosed with autoimmunity, I learned completely new things that challenged everything I thought I knew about healthy living. Making dietary changes became a requirement for me in the last few years. One of the major changes was selecting oils for cooking. Of course, fried foods are heavily limited these days too. But oil is what I want to talk about. Not just any oil, rather Extra Virgin Olive Oil (EVOO). It’s become a staple in my household. I cook nearly everything in Extra Virgin Olive Oil. 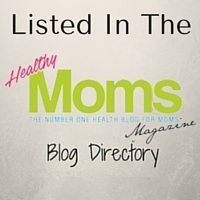 That’s why, I’m happy to have partnered with Moms Meet to share my thoughts on this subject. It’s one I feel a close connection to. While it’s a staple, choosing an Extra Virgin Olive Oil has never been about choosing the cheapest bottle on the shelf, for me, because not all olive oils are created equally. When it comes to my healthy changes, I make a serious effort to get the best I can afford. *Disclaimer: I received this product for free from Moms Meet to use and post my honest opinions. Compensation for this post was provided, but all opinions are my own. 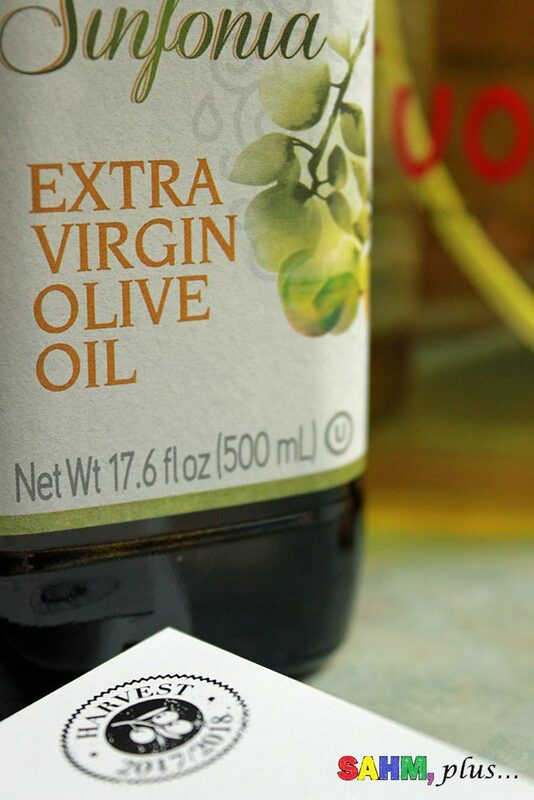 Why European Extra Virgin Olive Oil? I liken the movement to how wine connoisseurs would select a wine or how someone would choose any artisan product. They’re looking for quality, flavor, and consistency rather than some commercially standard product made solely for quantity. To learn more about this great mission, visit Flavor Your Life on their website, Facebook, or Twitter. 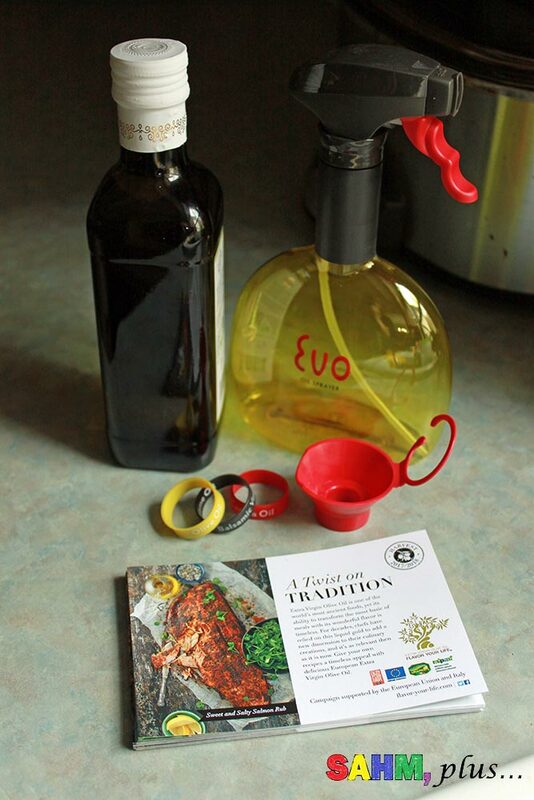 Here are some helpful tips for choosing a great European Extra Virgin Olive Oil. These olive oils are most often produced to meet certain standards, not produced solely for being widely available, but for the quality they expect. They are usually judged by expert tasters who must agree an oil meets high flavor standards, including testing for taste defects and positive attributes of fruitiness, bitterness, or spiciness. Cold-pressed olive oils are made without heat or chemicals. Heat and chemicals can change the profiles of oils, which isn’t as healthy. 3. 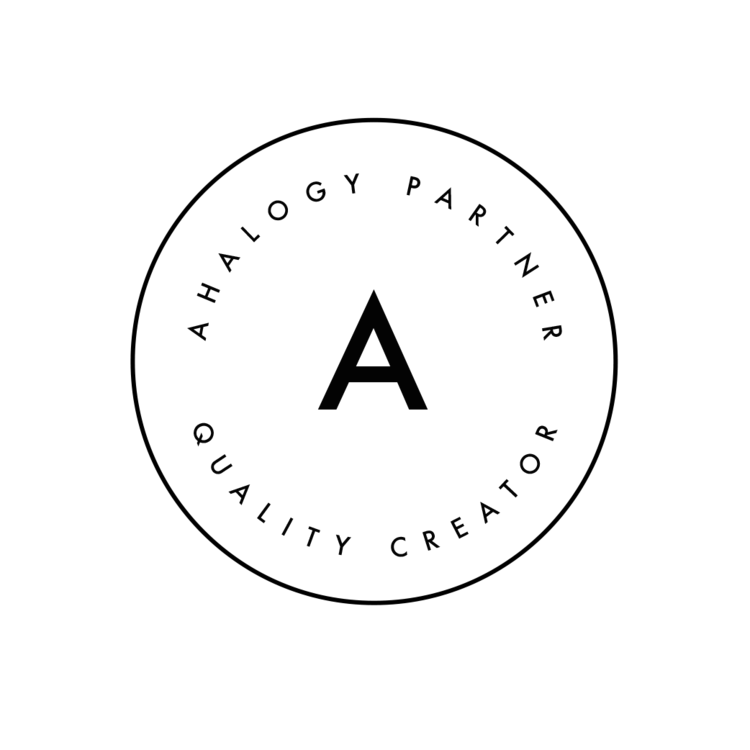 Looking for a specific flavor profile? Varying regions have different flavor profiles because of the olives cultivated for their area. You can find a blended EVOO, like the one from Zucchi, which blends various regions’ olives for a unique flavor for it’s blend. Typically golden yellow in color, a Spanish oil will provide a fruity, nutty flavor. A Cuban cookbook I bought often specifically recommends Spanish olive oil for . Probably the most widely known is the Italian Olive Oil, which is often dark green and has an herbal aroma. A Greek olive oil is green, with a strong flavor and aroma. Finally, French oil is often pale colored with a mild flavor. So, let’s get cooking a healthy simple sauteed veggie side dish. 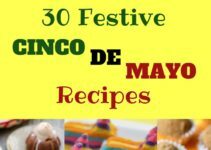 I like to make these on nights I need something easy and healthy. 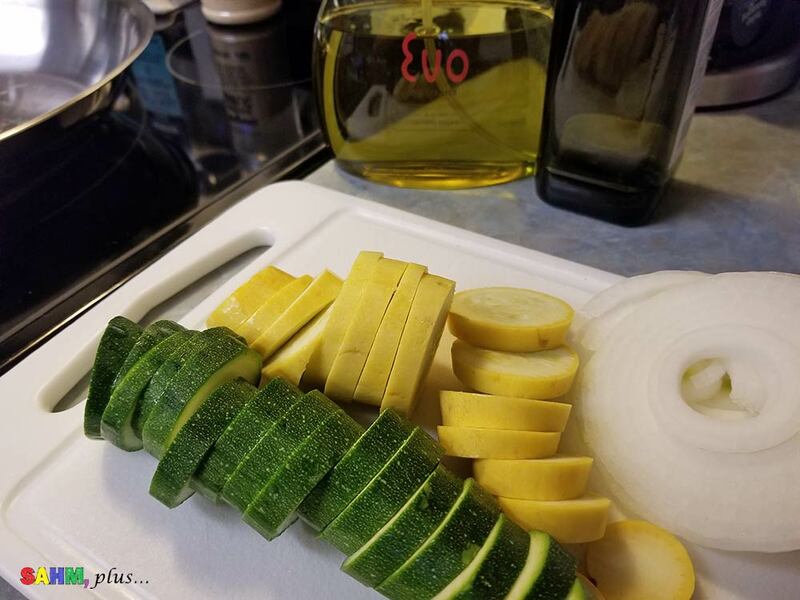 This particular night, I sauteed my zucchini, squash and onions to accompany steaks. 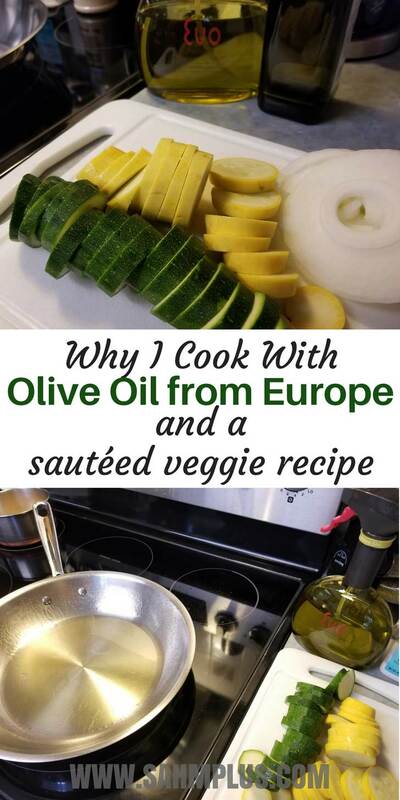 Of course, I sautéed my veggies using European Extra Virgin Olive Oil to keep them extra healthy. Toss sliced veggies into pan. Sprinkle salt, pepper, and garlic powder to taste. Sauté all vegetables in skillet for approximately 20 minutes, flipping occasionally to prevent sticking or over-browning.